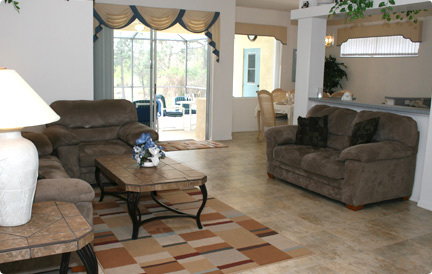 Our villa rental rates vary according to the season and are fully inclusive rates. 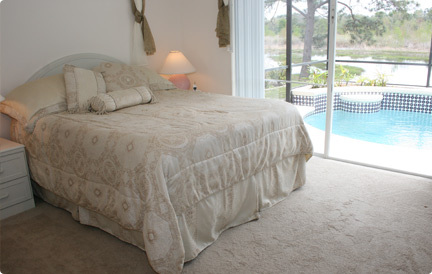 We do offer discounted rates for returning guests. 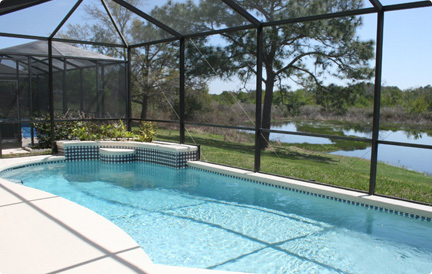 All rates include Florida sales and tourist taxes, agency fees and cleaning of the villa prior to your arrival. There are no hidden extras!!!! 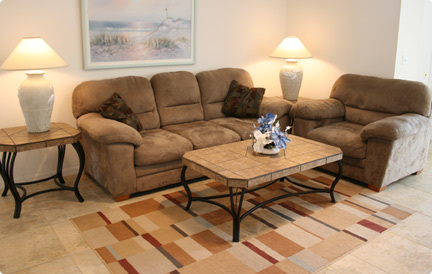 We do have special rates for guests who wish to stay for four weeks or more. Please contact us via email for further details. 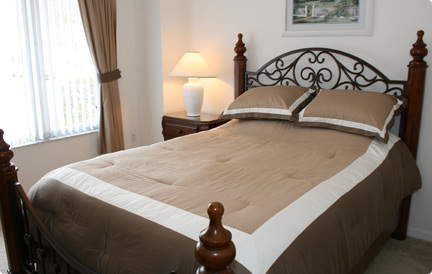 Our villa can be reserved up to 2 years in advance. At the time of reservation there is a booking deposit payable of £200 / $350. The balance of the rental monies (total rental less booking deposit) is normally payable 10 weeks before the start of the rental period, though this can be negotiable in certain circumstances. There is an additional security bond payable of £225 / $325 which will be returned in full (14 days after the end of the rental period) on the understanding that guests comply with our “no smoking and no pets rule” and that there is no damage to, or items missing, from the villa at the end of your stay. The security bond is payable with the balance of the rental monies. All facilities in the villa – safe deposit box, hair dryers, styling brush, BBQ, travel cot (crib), highchair, child car seat, stroller, bed linen, house towels, pool towels etc. etc. are provided on a free of charge basis or included in the rental rates shown above. The villa is strictly non smoking. We regret that pets are not allowed in the villa or its grounds. The villa was absolutely brilliant with excellent facilities. 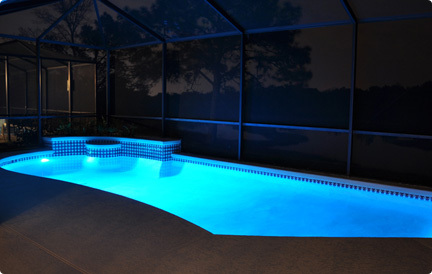 We will have no hesitation in recommending it to family and friends.